Charlie Kelley is the older brother of Cliff Kelley of the main character of the four books beginning with The Ruin. 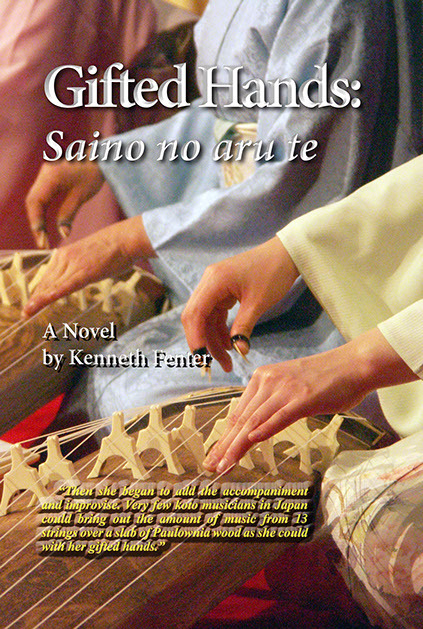 Gifted Hands, however, is a stand alone book. At the end of Pivotal Times, Charlie has brought home a young Japanese middle school teacher and gifted musician to attend college with him. They plan to be married in the summer after their winter at college. A tragic accident requires Keiko to return to her Japanese hometown during the winter. Charlie hears from her once once afterward in a cryptic letter asking him to not try to reach her again. None of his daily letters are ever answered. Heartbroken, he turns to Keiko's best friend and they are married at the end of the summer. At the end of twenty years later Charlie has two children, a son in college and a daughter ready to enter her freshman year at the university. His wife suddenly dies on the way to the hospital. Charlie is widowed and devastated for a second time. He takes a sabbatical from his teaching job as an art teacher and plans to travel around the world during his mourning period. His first stop is in Japan where he spent two years as a veteran and start his journey from there. He takes his sketch pads to augment his journal.